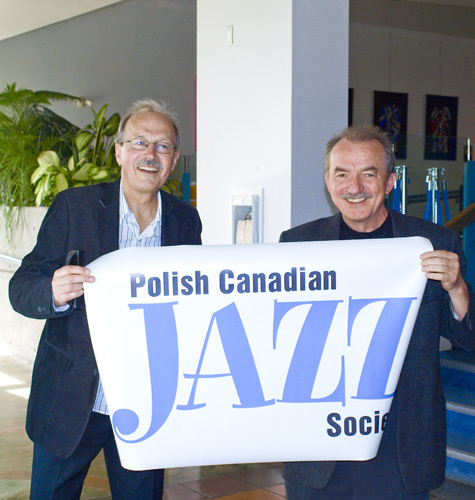 Members of the PCJS proudly present the Society logo-banner in the Centenial Theatre lobby just before Leszek's Możdżer piano concert. 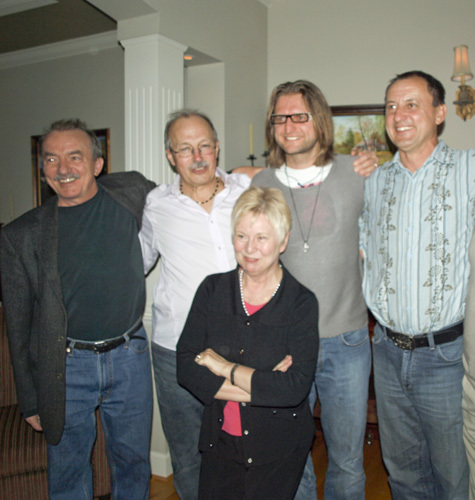 Leszek Możdżer surrounded by the PCJS members. 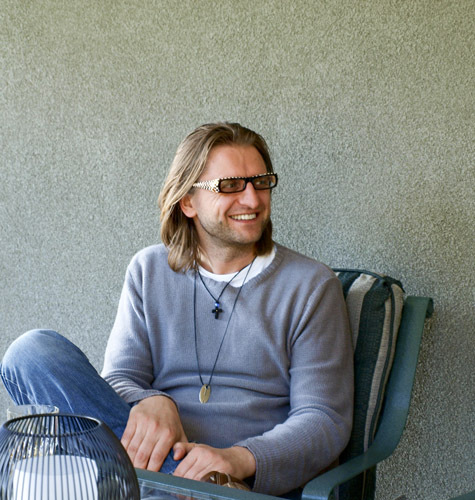 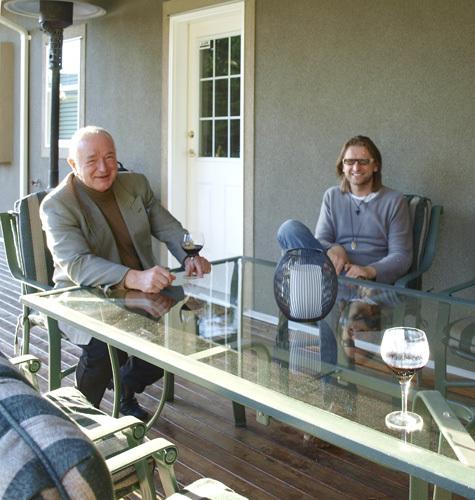 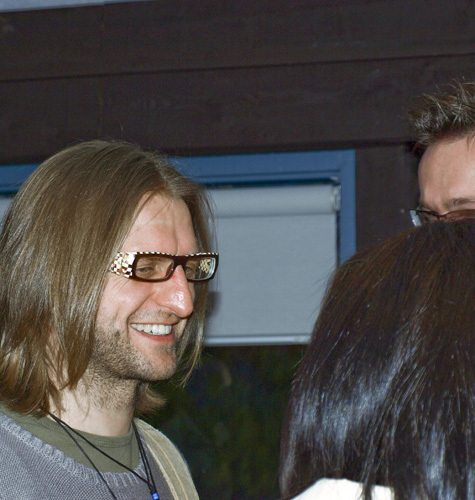 Leszek Możdżer in a conversation during his meeting with the PCJS members. 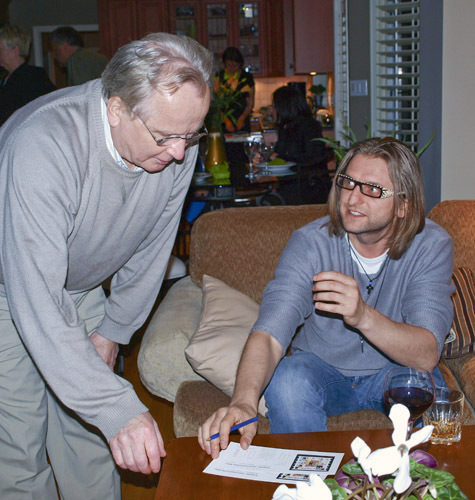 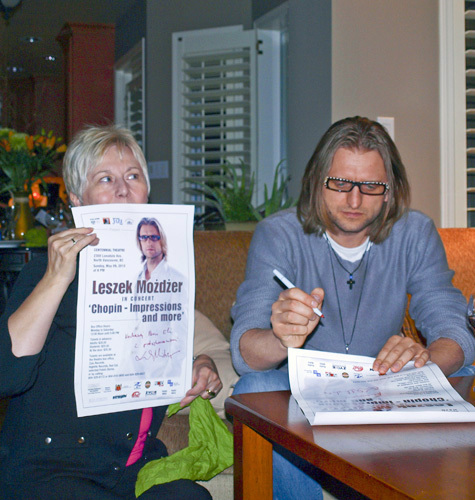 Leszek Możdżer writes his signature on a poster which promotes his concert. 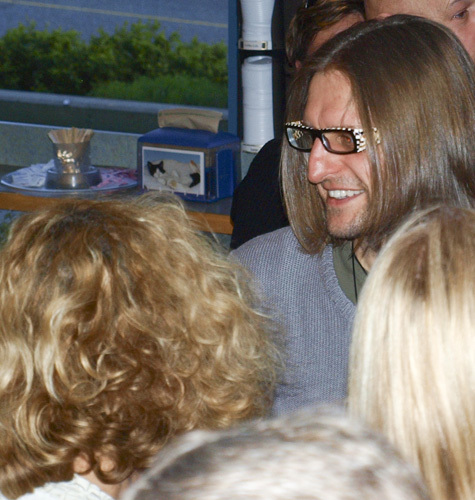 Leszek Możdżer and autograph collectors. 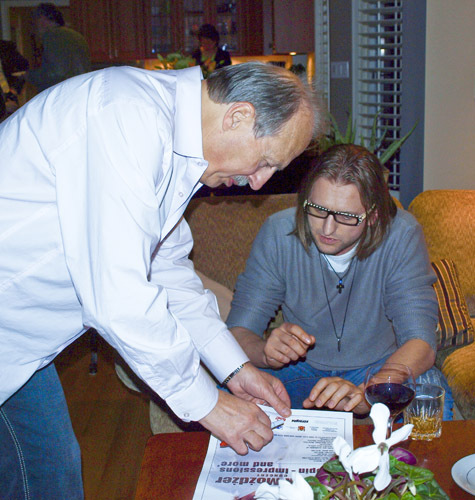 Leszek's Możdżer autograph for a PCJS member. 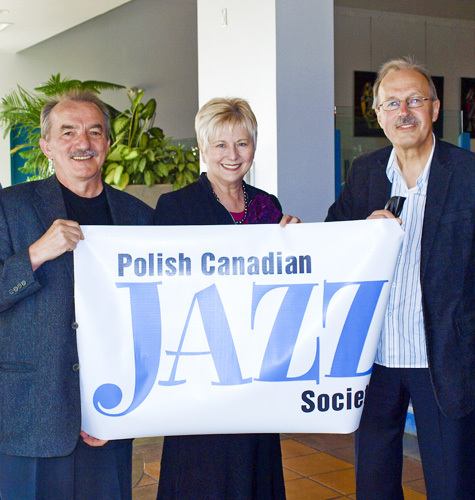 The Members of the PCJS proudly present the Society logo-banner in the Centenial Theatre lobby just before Leszek's Możdżer piano concert. 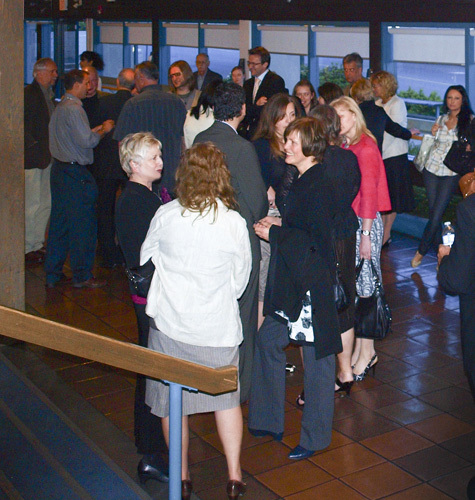 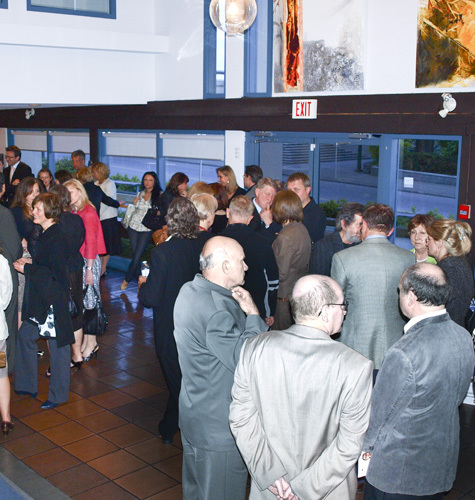 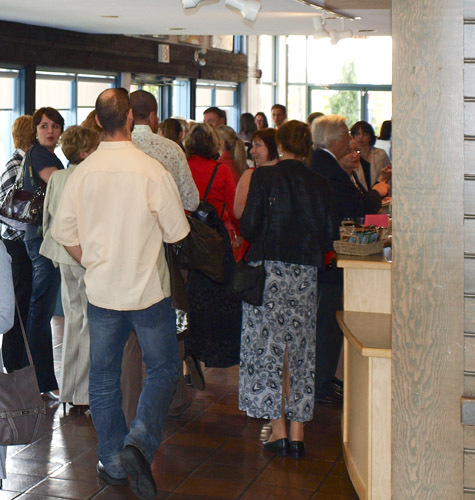 The Centennial Theatre Centre lobby before the Leszek's Możdżer piano jazz concert. 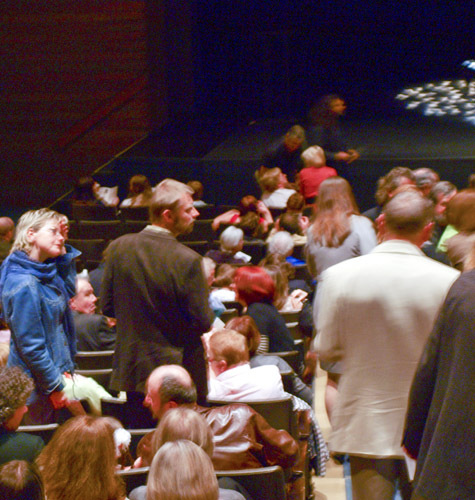 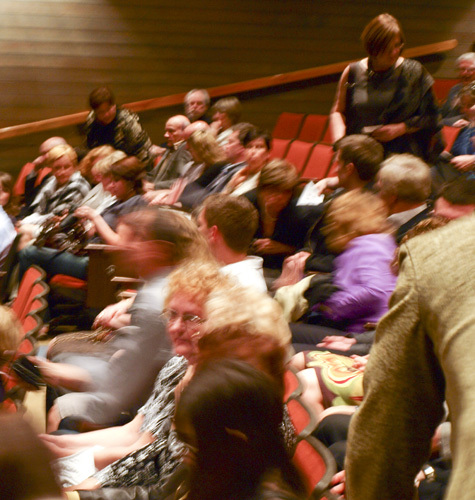 An audience at the Centennial Theatre Centre hall before the Leszek's Możdżer piano jazz concert. 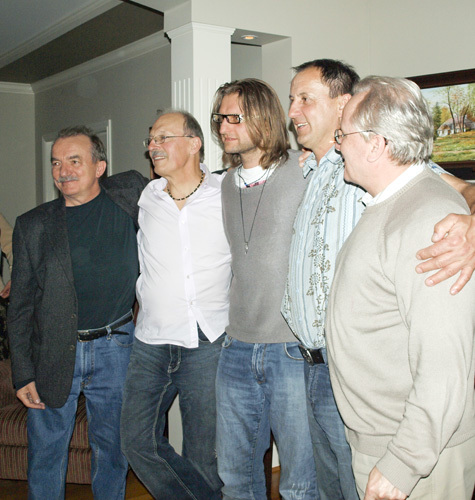 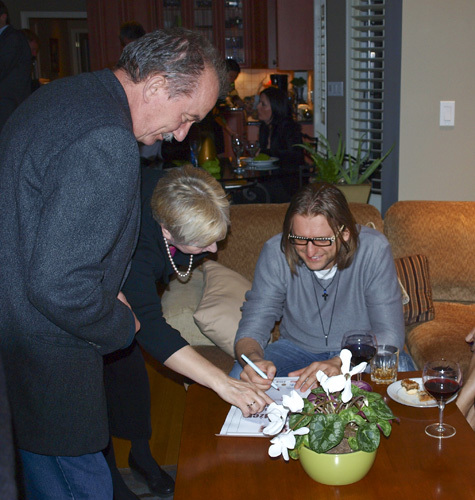 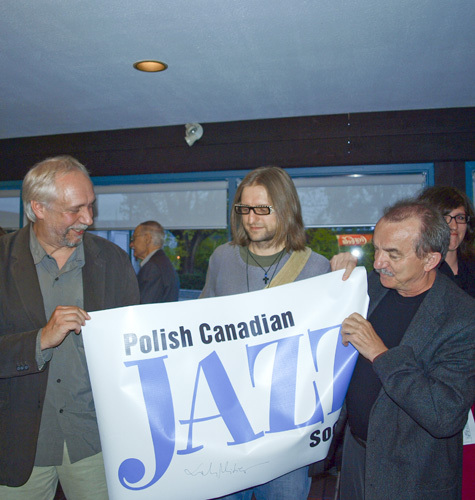 Leszek Możdżer surrounded by the PCJS members after his concert at the Centenial Theatre Centre in North Vancouver. 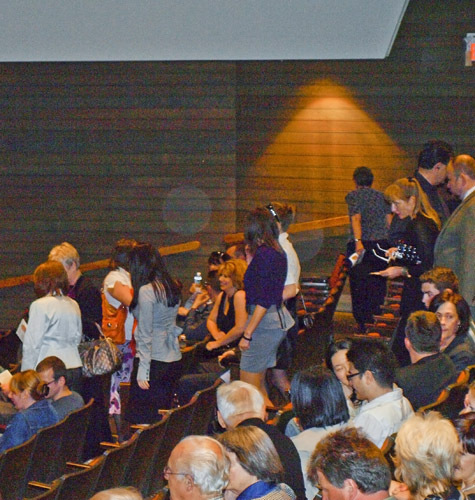 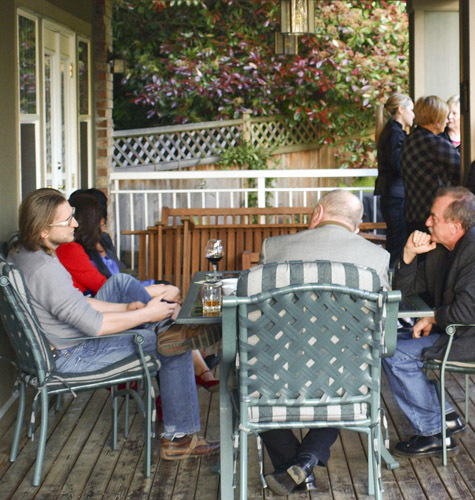 A conversation of the Members of the PCJS just before Leszek's Możdżer piano concert.